On 25 March 2017, Europe celebrated the 60th anniversary of the Treaties of Rome. This historic day was an opportunity to evaluate what we have achieved and to define an effective way forward for the European project. The EU has been the main force behind the unprecedented economic and social progress across Europe over the past 60 years. With about 7% of the world population and 23% of world GDP, the European Union is one of the strongest economic regions in the world. More than numbers, the EU stands for fundamental values of democracy, peace, human rights, freedom and equality. Seven decades of peace and stability in Europe is an enormous achievement which should not be taken for granted. Despite the challenges facing the European Union, such as insufficient growth and employment, security threats, geopolitical instability, rising populism – the EU remains the most successful political project in modern times. But our European way of life can only be defended if we act and reform together to achieve a strong and competitive Europe. On the invitation of the federations from the founding countries, BusinessEurope members met in Rome and presented their declaration on the occasion of the 60th anniversary of the Treaties. Hear the voices of the business community from our photo & video gallery below. The future of Europe - We need a Europe that delivers! The future of Europe - Europe is the solution! The future of Europe - Company means life! 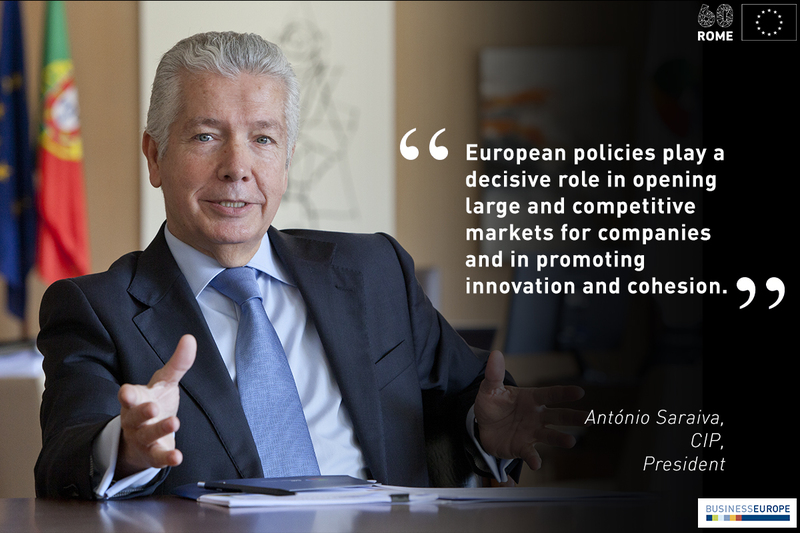 The future of Europe - EU and companies belong together! The future of Europe - Europe matters!